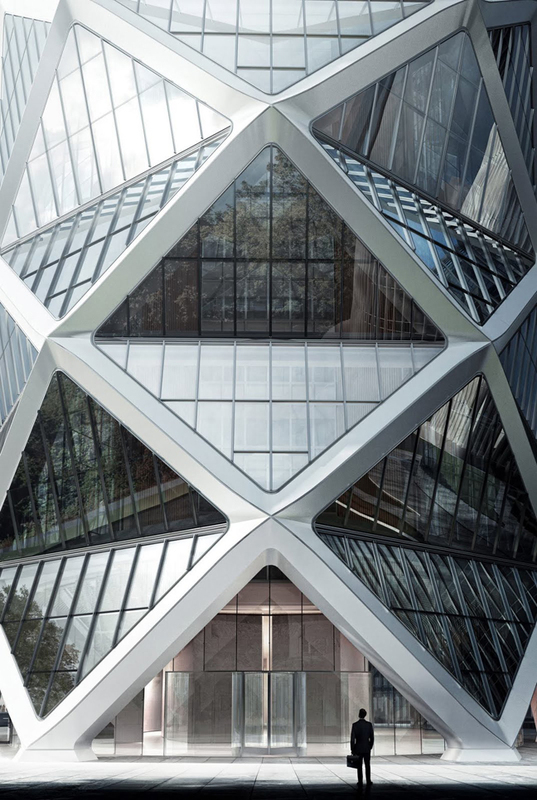 Designed by Skidmore, Owings & Merrill (SOM), Poly International Plaza in Guangzhou, China, is 116,000-square-meter complex of three speculative office buildings, which offers a spacious and light-filled work environment. Its long-span structural design strategically opens up the interior spaces and employs a highly sustainable approach to addressing the climatic and air quality issues specific to Beijing. A faceted diagrid exoskeleton system forms an outer thermal envelope around the office spaces enclosed within a second glazed interior envelope, creating day-lit communal areas. These areas not only accommodate meetings and foster social interaction, but they also allow physical and visual connectivity between floors. Poly International Center is a Class-A office park on the Pearl River Delta. A three-story open veranda doubles as a refuge floor midway up the tower, and reduces live loads by allowing wind to pass through the tower. 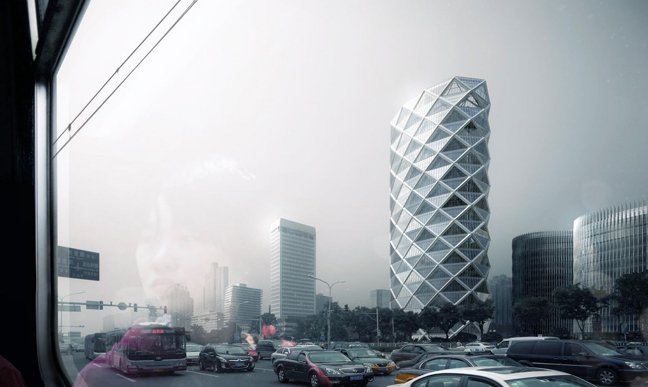 The lattice structure attached to the buildings’ southern facade takes most of the lateral loads and, as an added benefit, reduces solar gain by about half, which is no small consideration in Guangzhou, where temperatures peak above 100 degrees Fahrenheit. The efficient frame conserved steel by around 15 percent, lowering the cost of construction.